Set of 12 Halloween Cylinders - 5"
Mercury Glass - Watertight. 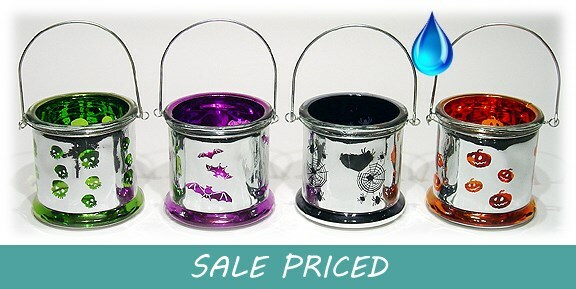 Great for candy, candles or fresh arrangements. 4 assorted styles - $2.50 each.